'The Harbinger': Is God Warning America? ‘The Harbinger’: Is God Warning America? Has God used tragedy and economic collapse to warn America? To incite the nation to turn back to Him? 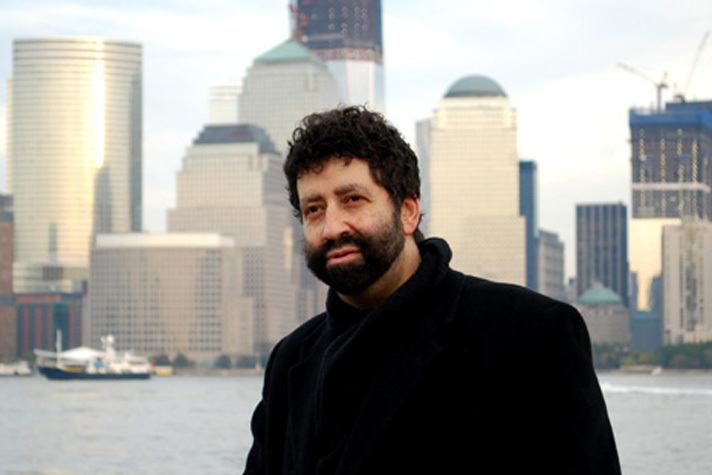 Jonathan Cahn is author of The Harbinger: The Ancient Mystery that Holds the Secret of America’s Future. The book discusses God’s warnings to Israel before the nation’s judgment and downfall, and how the same signs of destruction have manifested in the United States in the past decade. Cahn grew up a Reform Jew, became an atheist, then surrendered his life to Christ at 20 years old. A Messianic Jew, he serves as senior pastor and rabbi of the Beth Israel Worship Center in Wayne, N.J., and leads Hope of the World Ministries, an evangelistic outreach. In The Harbinger, Cahn picks apart Isaiah 9:10 where Israel determines to rebuild its devastated country by its own means, defying God. God had repeatedly warned the people of impending danger if they didn’t acknowledge Him, and they paid the price for failing to listen. America, in a more modern way, is receiving the same warnings, Cahn argues, and points out the declaration by some public figures that the country will come back stronger than ever – the same idea expressed in Isaiah 9:10. Some Christian critics have questioned whether God would send the same kind of warning signs again or whether the Bible really alludes to America. Some differ on when the parallel prophecies began. But virtually all have agreed on Cahn’s bottom line: America is in trouble if its people continue ignoring God. The Harbinger became a New York Times best-seller the first week of its release in early 2012 and has been circulated on Capitol Hill. The documentary version, called The Isaiah 9:10 Judgment, continues to be a best-selling faith film in America. Yet with all the talk of impending judgment on America, Cahn leaves room for hope. Some people ask him if there will be judgment or revival. If Christians were the “light” they are supposed to be, he said, America might not be this dark. “Being bold to spread the Gospel is crucial. Crucial,” he said, even when others try to silence it. Cahn warns Christians not to be “lukewarm.” He emphasizes the power of prayer and urges believers to speak up and take action on issues that affect the moral fiber of the nation. A nationwide outreach called My Hope America with Billy Graham, he said, is one way to communicate hope in Christ and potentially change people’s lives. Cahn held a book signing at the Billy Graham Library on July 20, 2013.